Do you know the secrets to financial freedom? Many people start a business to create financial freedom for themselves and their family. For others, the freedom of running a business is in the flexibility of time around family commitments. When I started my first business, I had no plans of financial freedom. It wasn’t even a concept that I’d heard of, or was thinking about. I started the business as I had a passion to help other women, and I knew I could earn a living, and contribute to the family finances through my work. As life moved on, and the ups and downs of growing a business, and a young family, and investing for our future became a bit more in focus for me. I guess I was more aware of what I was doing with money. I chose to invest profits into the business to grow it. I chose to find premises and move out of home, as it seemed the most sensible thing to do. My turnover was growing fast, and even our most pessimistic estimates suggested that all our base line expenses would be covered, including my basic income from the business. If you know my story, you’ll know that the credit crunch hit my business hard. The same month as my Mum’s cancer prognosis was terminal, the credit crunch halved my turnover. Yep, in a month. I’d literally only signed the premises lease that month & now I was saddled with 3 years of paying for a retail unit that I may not need. Crippling is a good way to describe this section of my personal money story. I still wasn’t looking for secrets to financial freedom. I was simply working through each day trying to regain the sales I’d lost, and grow my audience to sell less to more people. Whilst, spending time with Mum and Dad. I was doing what any business owner does, and battens down the hatches, and does what they think is right for their business and their family in times of struggle. Are there really secrets to financial freedom? You may have seen people who’ve followed a plan for finding their own financial freedom. You may have had conversations with people who tell you that “you too can have financial freedom, if you just do this”. You may well have planned meticulously for every eventuality and have pots of money in different places to help you ensure you have financial freedom. I’ve always believed that I’ll find my own way back to financial freedom, after the setbacks I’ve had. It took me a long time to realise that I had to stop blaming others though. Yes, I know the credit crunch wasn’t my fault, but maybe if I’d saved 6 months money to cover expenses, maybe, just maybe we’d have got through things differently? Over the years I’ve tried this, and I’ve tried that. I’m getting there with my own financial freedom. However, it’s only this year, and finding Millen Livis have I really, truly understood what financial freedom really means to me. Taking responsibility for my own financial freedom. It’s strange. I’ve spent a lot of time talking to friends, family and clients, helping them “do things in the right way for you”, so why has it only just clicked for me that my own financial freedom will be very different from someone else’s? And that’s fine. Durrh! I feel a bit silly really. I’m sharing here, as you may also be in a bit of a rut with your own money story and need a bit of help. ….are simple. She even calls them “common sense”, and describes that as it’s not so common now, it has to be listed for people to follow. To me, these make sense. I got in touch with Millen to tell her how I’d had an “Ah ha” moment when listening to one of her webinars. I also asked if she’d be happy to do a short interview with me as I know there’s others like me who could benefit from her straight talking, common sense approach. She said yes! 🙂 She’s going to be live with me on Friday 2nd March 5pm GMT on the Facebook page. I can’t wait! I’m not sure I’ll be getting any more “ah ha” moments, but if I can help just one more person to find theirs then our time together will be totally worthwhile. Millen’s new book is fantastic & simple to read and follow. 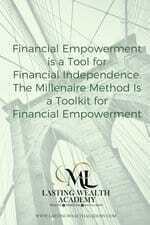 Millen has got a free download for you, telling you her secrets to financial freedom, and much more, which I highly recommend. Whether you’re stuck in a money rut, or looking at growing your wealth or financial portfolio at the moment. Why not come and speak with Millen yourself on Friday at 5pm? You can chat via the comments box and I know she’ll help you, just like she’s helped me. 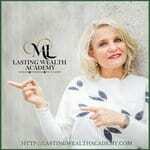 If you like what you see, Millen also has a Lasting Wealth Academy which may be just the thing for you to take you and your finances to the next step. 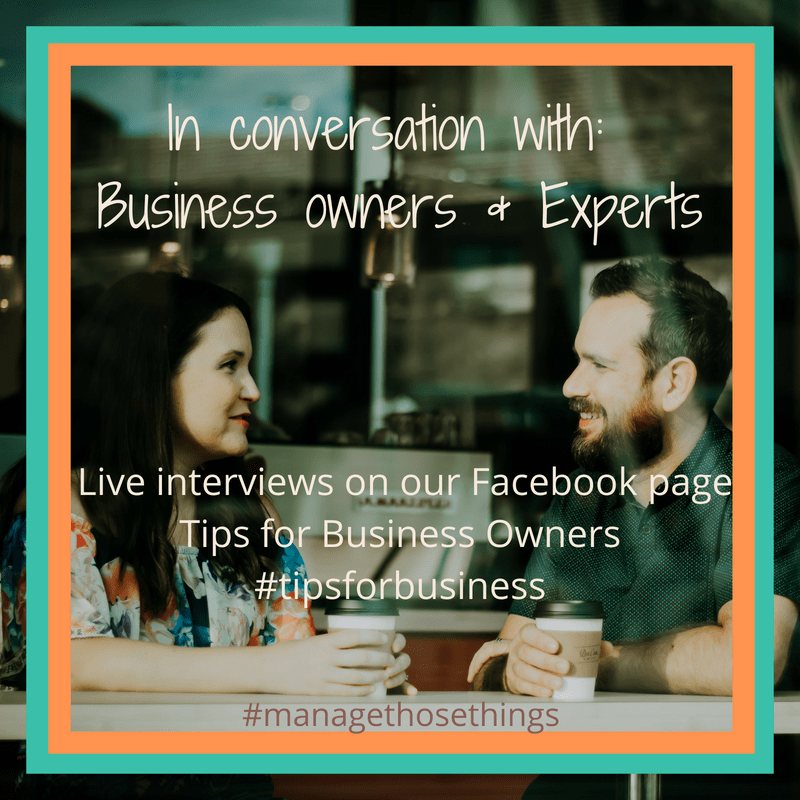 http://managethosethings.com/wp-content/uploads/2018/06/Manage-Those-Things-2-300x100.png 0 0 Manage http://managethosethings.com/wp-content/uploads/2018/06/Manage-Those-Things-2-300x100.png Manage2018-02-27 14:53:222018-06-03 14:34:49Do you know the secrets to financial freedom?